As many as 411,000 new cases of Alzheimer's disease are diagnosed every year. 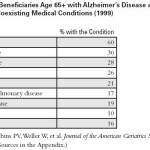 Silver BookAs many as 411,000 new cases of Alzheimer’s disease are diagnosed every year. As many as 411,000 new cases of Alzheimer’s disease are diagnosed every year.